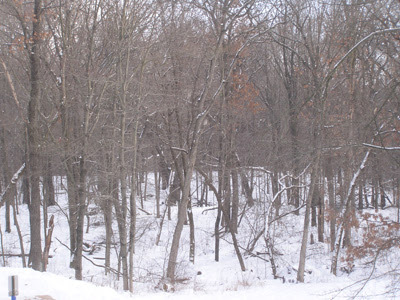 Phenomenological Visions: The view from my window . . . This was the view out my cubicle window today at work. Notice anything interesting? 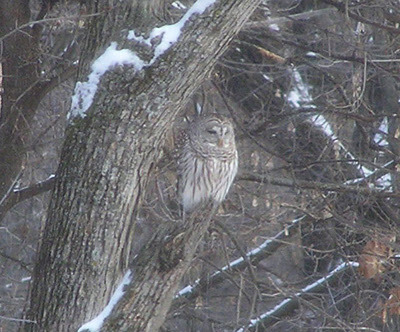 That's a barred owl. He (or she) is trying to blend in with the broken off branch on the oak tree. It didn't fool the chickadees who were quite unhappy about him being there. They chirped loudly and dive bombed him. He was there for a couple of hours and was still there when we left for the day. Can you find him in the wide view photo at the top?